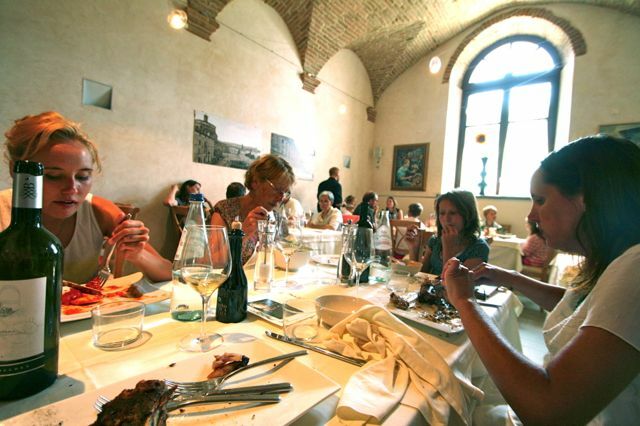 Since it opened a couple of years ago we had heard good reports about dining at Zibu restaurant in our local town of Umbertide. A couple of weeks ago we decided to have Sunday lunch there, our overall verdict was that the food was superb, we were served local dishes with an interesting twist, for example panzanella (bread salad) made into a mousse and tiramissu deconstructed into its component parts and served in a glass. The wine list was also extensive and not overpriced, the wines I recognised only had a small markup compared to buying them in a shop. Our meal for five people cost around €130 with one bottle of wine.